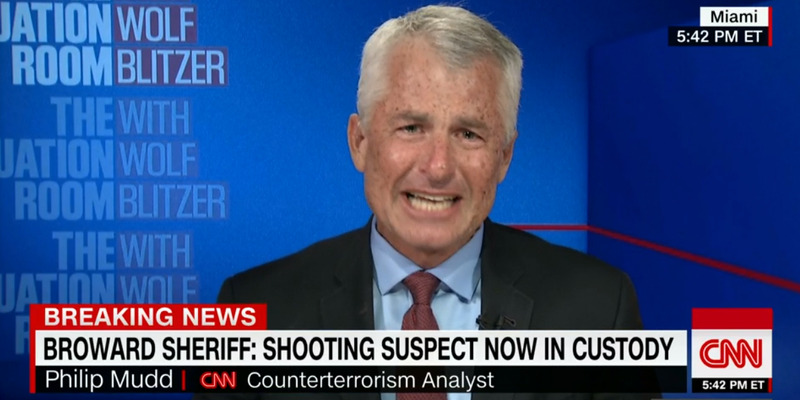 CNNCIA counterterrorism analyst Philip Mudd. Law enforcement analysts appeared on media networks to provide insight to the Florida high school shooting that killed at least 17 people. Some analysts became emotional and had difficulty expressing their thoughts. The high school shooting marks the 18th gun-related incident at or near a school this year. Following the high school shooting in Parkland, Florida on Wednesday, analysts appeared on media networks to provide insight on the incident that killed at least 17 people. Some analysts became emotional and had difficulty in expressing their thoughts. “You think that it’s antiseptic. It’s not,” former CIA analyst and FBI national security branch deputy director Philip Mudd said to CNN’s Wolf Blitzer. 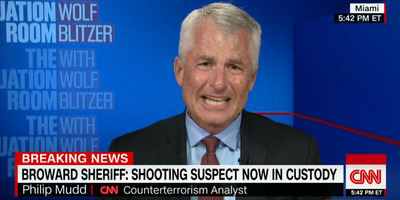 Mudd then appeared to criticise the lack of gun legislation, a legislative hurdle that continues to divide many congressional leaders on party lines. Nikolas Cruz, a 19-year-old former student of Marjory Stoneman Douglas High School, was identified as the gunman and taken into custody by the police. The school enrolled 3,208 students between grades nine and 12,according to the Sun-Sentinel.